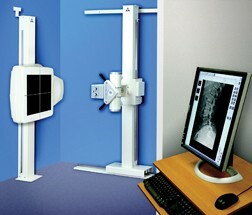 Bennett offers offers chiropractors a comprehensive line of Radiographic systems. Whether you are in the market for a film based application or state of the art digital radiography, they offer these products through the Bennett Renaissance Series of quality radiographic systems. Bennett products are sold and serviced worldwide through quality dealers and representatives. Their Mission statement sums it up well, "Dedicated to quality, innovation and the Chiropractic profession."